The Department of Security (hereinafter referred to as 'Security') is formed by Article VI of the Constitution of FEDERATION COMMAND with the purpose of conducting forum moderation, admissions, arrests, maintaining discipline; gathering intelligence and performing investigations within FEDERATION COMMAND. This Charter is designed to outline the role and structure of Security policies and procedures as lawfully promulgated. Security will be commanded by a Director of Security and a Deputy Director of Security whom will assume the positions of Commanding Officer (CO) and Executive Officer (XO) respectively. 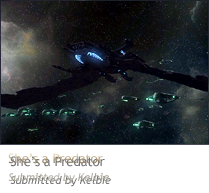 The role of the Department of Federation Security will be to monitor forum threads, maintain stability, resolve minor disputes, conduct admissions and protect FEDERATION COMMAND from internal and external threats. The Director of Security will serve as Federation Prosecutor in all cases. The structure of Security, including any sub-departments, is at the discretion of Security Command. Any Officer of FEDERATION COMMAND at or above the rank of Lieutenant may be accepted into Security. Security Command has the responsibility to conduct admissions as deemed appropriate. Security is responsible for conducting IP and other security checks on those applicants whom wish to become an Officer within FEDERATION COMMAND. If there are no grounds on which to reject an application, Operations Command, the Executive Committee (or Fleet Admiral) or any Council member may accept the Oath. Only the Executive Committee (or Fleet Admiral) or the Council of Admirals may accept Oaths of returning Officers. If pending Executive Committee (or Fleet Admiral) or the Council of Admirals intervention is present within an Oath; the authority of Security is superseded. Security Officers, as instructed by Security Command, will be responsible for maintaining an environment on the forums in accordance with Fleet Policy. The decisions of Security Officers may be overruled by Security Command, Operations Command or the Executive Committee (or Fleet Admiral) or the Council of Admirals. An arrest may be issued while evidence is gathered to support a charge. An arrest may only be issued if there is enough credible evidence to reasonably presume a crime has been committed even if the evidence cannot solely support the charge. An arrest may be authorized and initiated by the Director of Security for a duration of twenty-four (24) hours which may be extended by fourty-eight (48) hours by a Council member, the Executive Committee (or Fleet Admiral) or the Council of Admirals. When an arrest has been made, the arrestee will have their access restricted to the brig. The appropriate official as directed by policy has twenty-four (24) hours to issue formal charges and punishment or release the arrestee, unless the Executive Committee (or Fleet Admiral) or the Council of Admirals or the Office of the Judge Advocate General authorizes a longer time. Once formal charges are enacted and punishments issued, the Office of the Judge Advocate General will be contacted and made aware. If a charge is appealed, all investigative material will be released to the Office of the Judge Advocate General immediately. Security Officers will follow the Charter of the Office of the Judge Advocate General. Violation of said Charter is considered a violation of an order. 6. Act as Federation Prosecutor in all cases appealed. 5. Power to maintain a database of IP addresses and a blacklist.